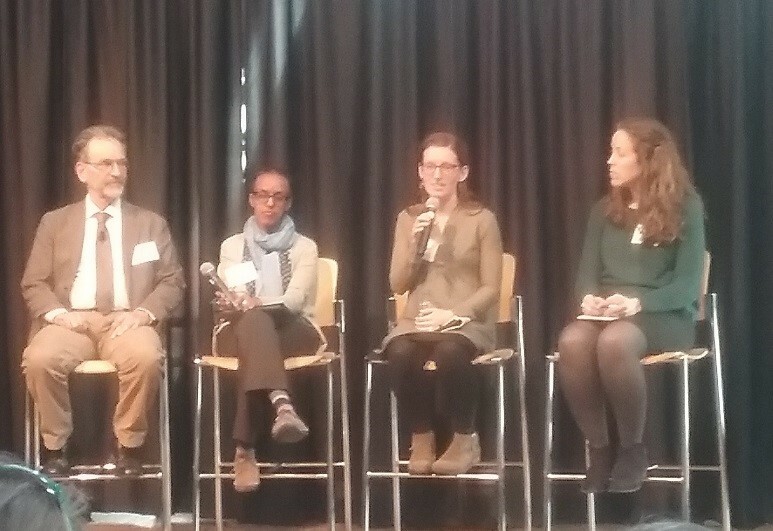 On Wednesday, April 5th, Ashley Mitchell, Program Manager at WellShare International, participated in a panel on refugee health. This question and answer session followed a lecture given by Alexander Kraemer, a German professor and expert in the field of Public Health, who is active in several health related research fields, one of them being refugee health. Dr. Kraemer spoke on the topic of Public Health Concepts & Recent Disease Dynamics in Germany and presented on the impacts of refugees on the German health care system and the challenges the country faces due to recent migration processes. In 2015, Germany alone took in about 1 Million refugees (compared to 70,000 in the US (MPI, 2015)). Although the number of arrivals plummeted in 2016, as Balkan countries shut down their borders, the country’s health care system has been facing major challenges. Apart from presenting on how Germany’s health care system is dealing with migration, Dr. Kraemer came to Minnesota to find out how the US integrates migrants socially and provides them with useful health services. He was joined by 3 local refugee health workers, one of them Ashley Mitchell, Program Manager at WellShare International. Ashley answered questions from the audience that addressed issues like social integration of refugees, cultural competency and the current political challenges that community organizations face, not only in Minnesota but all over the US. She explained WellShare’s role in Minnesota’s migrant communities and mentioned the important work that WellShare’s Community Health Workers do in order to welcome and integrate refugees while providing them with access to important health services. The lecture and panel discussion was attended by about 80 people – students, alumni of the University of Minnesota and professionals in the health sector.